If you’ve read our article on the subject of playing online slots for fun then hopefully you’ve visited one of our recommended casinos, signed up, grabbed your free cash and played the practice versions of your favourites games until the wee hours of the morning. By now of course you’ll know all about the ins and outs of the slots you’re been playing and almost certainly there’ll come a time when you want to play for real money. That money could be a sum deposited by you or it could be a bonus generously handed over to you just for signing up; either way, playing for real money involves a whole new mindset which involves actually looking after your money. Before picking a venue at which to play the slots you should check out our online casino reviews for an idea of which offer the best bonuses for your purposes. We play at, and recommend, all those we list but different reward structures may suit different people. So let’s get down to basics and the first thing to consider, once you’ve picked a game to play, is the bet involved. Don’t just dive in and press the Autoplay button – you might be shrinking your bankroll faster than you think. You need to check your basic cash bet per payline, the number of active paylines and then the coin level; all these add up to a sum which may be more than you realise. The coin level can trip many new players up and it can be thought of as the level of your bet. A coin level of two will be twice that of one so make sure you aware of all the settings and the total bet amount before you press spin. Prize amounts will usually be listed in coins also and this works because it acts as multiplier for your bet, rather than a specific cash amount. It’s also well worthwhile reading about the bonus features – you may want to alter your style of play to try and activate these free spins or mini-games. 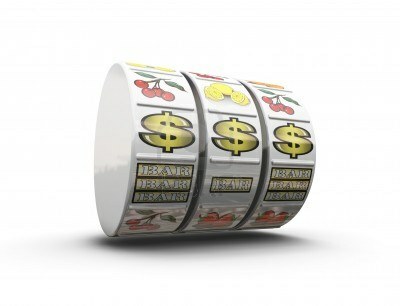 You’re pretty much ready to go now but we think reading the rules and payout information is always worthwhile; there’ll be an ‘i’ or a ‘Payouts’ button to click somewhere around the reels. If the sound effects are a little grating (and they can be on older slots in particular) there’s always a mute button to calm your nerves.